Hey, even swamplands can be pretty. Kind of. Here's the latest trailer for Skywind , the Skyrim total conversion that aims to port Morrowind—in its entirety—into Bethesda's newer game. This time, we're being shown the Bitter Coast—home of swamps, smugglers and slaughterfish. As the trailer's description explains, Skywind is still in closed alpha development. Many of the video's assets are placeholder, and likely to change between now and the final release. 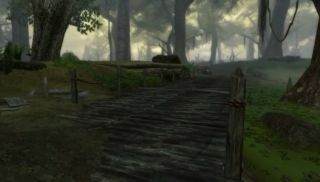 For a less directed look at the project, the team previously released a 13-minute exploration-based video .